ChromNAV 2 (and ChromNAV-CFR 2 ) are JASCO’s next generation CDS developed from the powerful and easy-to-use ChromNAV 1.0 with a host of exciting new features. With a customizable graphical-user-interface (GUI), the user can set-up the system to display only the functions necessary for their application. This latest intuitive GUI allows the user to quickly learn the operation and explore the extensive functionality for data processing. ChromNAV 2 is a universal CDS which can be used with any type of separation - HPLC, UHPLC, RHPLC, prep-HPLC and analytical SFC. ChromNav can also satisfiy the demands of dedicated analysis and multi-purpose systems. The pump flow rate and gradient profile display is flexible and can be overlaid with a chromatogram for adjusting gradient conditions. PDA data processing is included as standard. 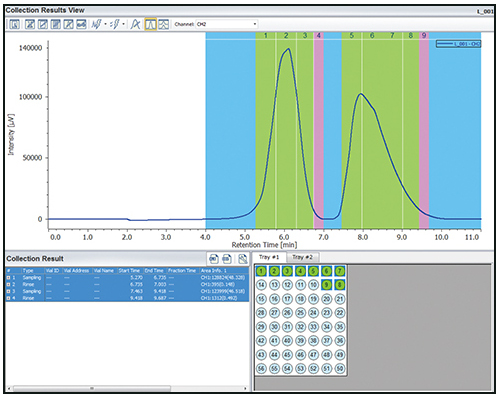 Data is displayed in 2D contour plot and 3D with simultaneous overlay of spectra and chromatograms.Extract chromatograms at single or multiple wavelengths for quantitation. ChromNAV 2 offers powerful system control and data acquisition with options for 2D (or up to 4D) gradient control and multi-zone oven control with control of up to 3 column ovens for method development. Solvent and column selection control is increased to include up to 10 positions for both. 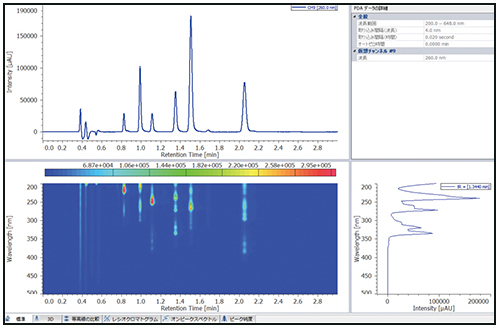 During acquisition, the run-time for a chromatogram can be increased to capture later eluting peaks which may exceed the set run-time. 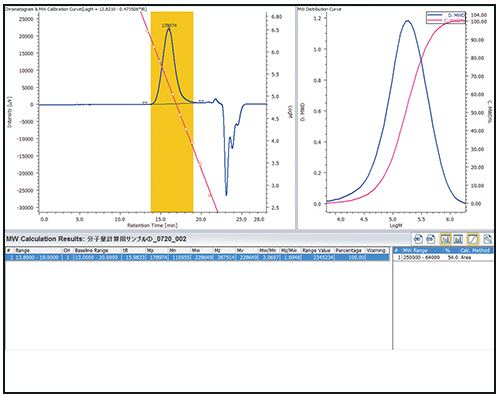 Previously acquired chromatograms can be overlaid for visual comparison with the data currently being acquired, as a quick indicator to the user of current separation performance. manually, by time or by threshold. A newly added feature of ChromNAV 2 is the automatic message that can be emailed to your PC or smartphone to give an update on the progress of the sequence. Data acquisition and analysis for a PDA detector are included as standard in ChromNAV. With the increasing requirements for Green Energy, the LC-4000 series has the facility not only to power off and save lamp life at the end of the run, but also a ‘soft-off’ function to automatically power off a module at the end of the sequence. All raw data is protected and saved; which can then be analyzed and re-analyzed, reported and saved with both the raw data and with any data processing from the user’s analysis. A comprehensive audit trail records the acquisition method along with a history of instrument performance indicators in each sample data file, which provides the user a snap-shot of the condition of the system during the run and can warn about requirements for impending maintenance. The optional ChromNAV-FC fraction collector control is available as part of the Prep-HPLC kit and provides ChromNav with the capability to control the LC-4000 Series preparative HPLC system for fraction collection. ChromNAV-FC offers control for two different capacity fraction collectors, with sophisticated fractionation control with several methods for peak collection, such as time, threshold and slope, and can even be programmed to use data collected simultaneously from multiple detectors such as UV-visible, refractive index or circular dichroism. 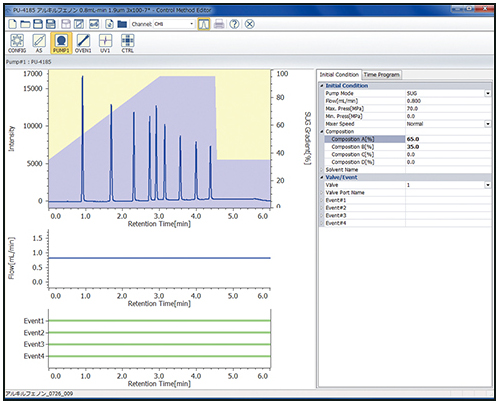 Fraction simulation is applied to an acquired chromatogram to optimize the fraction collection parameters and the graphical display can be used to locate peaks of interest in the fraction collector tray. 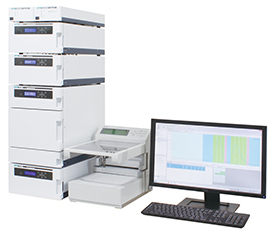 ChromNAV-FC also supports additional functions for prep-HPLC applications, including automatic multi-channel fractions, fraction repeat and fraction re-cycle. *1: ChromNAV CFR is an optional software package for ChromNAV.